Today was take-your-son-to-work day for Tim “TimTheTatman” Betar. Four days after TimTheTatman’s first son was born, Brewer made an appearance on Twitch. 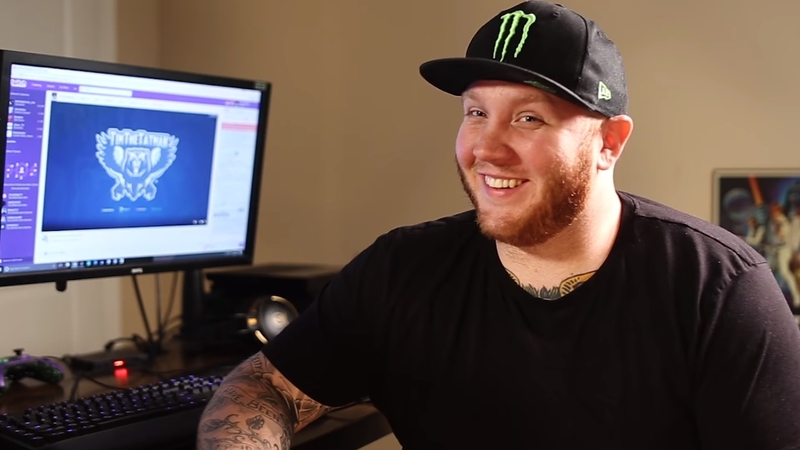 At first, it wasn’t clear when TimTheTatman would return to his stream after his son was born—but a few days after the delivery, TimTheTatman returned with an update. During the livestream, which lasted close to four hours, TimTheTatman said the process wasn’t entirely smooth. TimTheTatman and his wife, Alexis, went to the hospital on April 8 to induce labor due to the size of Brewer. While TimTheTatman said initially they hoped for a traditional childbirth, Alexis ultimately had to have a C-section delivery. Due to the complications, TimTheTatman was unable to return to his stream until a week after his family went to the hospital. While his streaming schedule hasn’t returned to normal, TimTheTatman came back to give his community an update and to officially introduce the stream to Brewer. Years from now, we’ll have to see if Brewer agrees with his dad when he watches the clip of his first appearance on a Twitch stream. For now, though, TimTheTatman said Brewer isn’t interested in much more than eating and sleeping.